Experience unparalleled adventure, culture, and cuisine. Now that you’re here, grab a bowl of spicy ashlan-fu, relax in one of Karakol's cozy cafes, join a foodie tour, or even curl up on a shyrdak (traditional Kyrgyz wool carpet). Although Karakol is a natural jumping-off-point for trekking and outdoor activities, there are a lot of things to do in town, too. There's history to explore, new dishes to sample, crafts to buy (and to make yourself! ), Russian baths to warm up in, and traditional Kyrgyz hospitality to enjoy. But, sometimes the city’s friendly, laid-back vibe takes over, and all you want to slow down, relax, and enjoy the moment. And that's OK, too. There's no wrong way to experience Karakol. Whether you prefer hiking the exhilarating mountain trails or cruising quietly on a tranquil alpine lake, Karakol will stay with you, giving you another story to tell, another view of the world, and most of all: another place to feel at home. Here are some of the remarkable ways you can explore the unique adventure, culture, and cuisine that you'll find nowhere else but Karakol. Karakol offers plenty of tours and activities that are low on planning and high on reward. A walking tour of the city offers an overview of the mosques, museums, and markets that give this place its vibrancy. 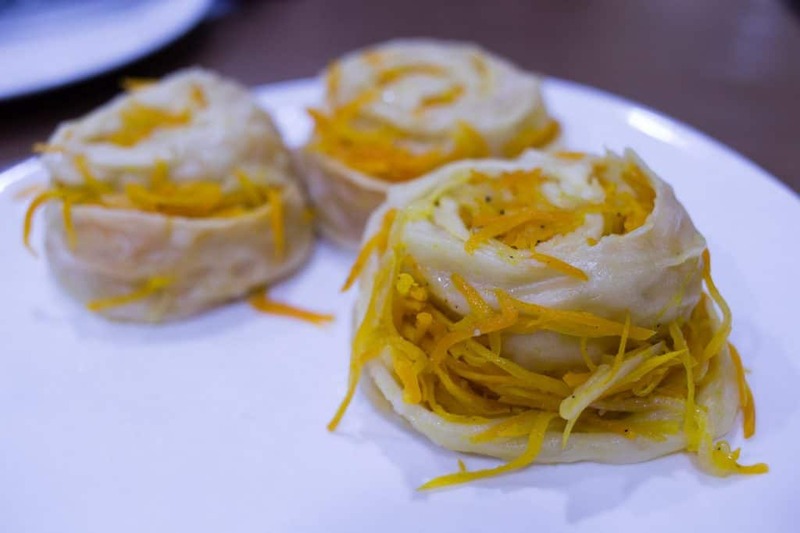 The Karakol Food Crawl also explores the city's diversity, but through its various ethnic cuisines. Or visit a nearby Dungan village and feast with a local family. 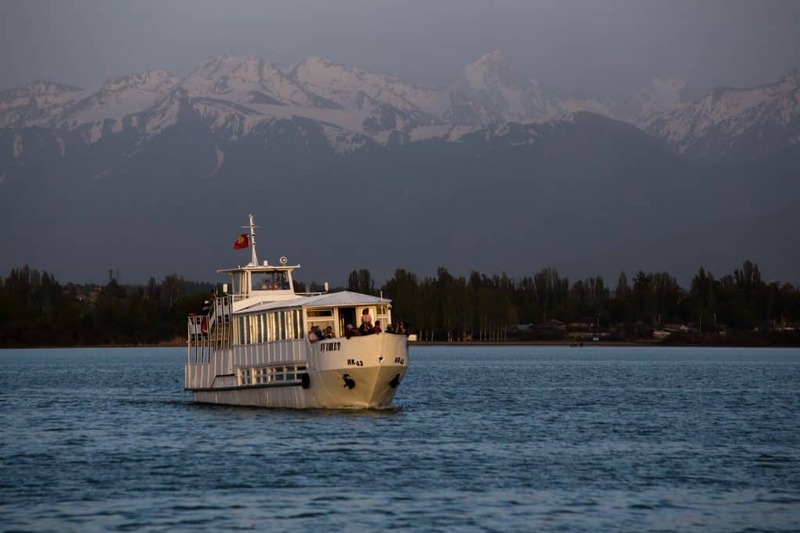 Top off your day with a sunset cruise on Lake Issyk-Kul — the perfect way to allow nature's vast expanse to fill and inspire you. 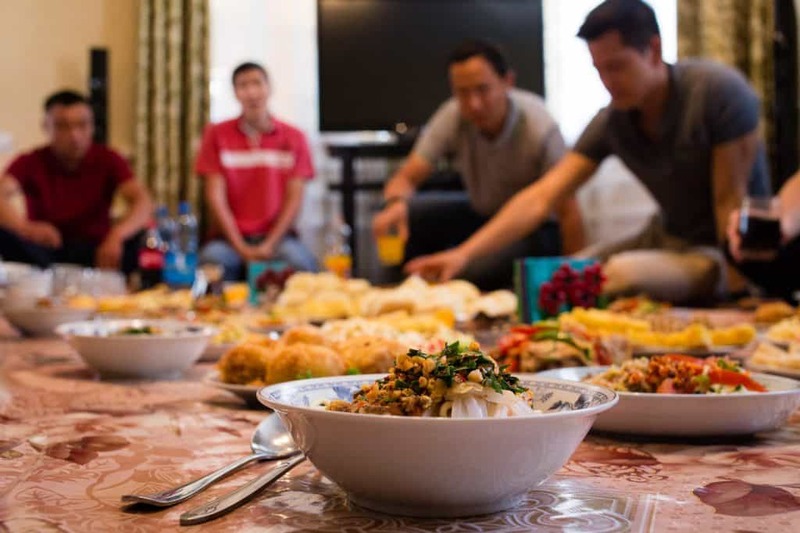 In Karakol, living history is all around you, in every meal and every local interaction. Visit the fascinating 100-year-old Dungan mosque — its wooden pieces join together perfectly without the use of nails, like pieces in a giant puzzle. Marvel at the mid-19th-century Russian Orthodox Church and gingerbread homes, which hint at Karakol’s early years on the edge of the Tsarist Russian Empire. Glimpse Karakol's olden days at the History Museum through striking black and white photos by Ella Maillart and challenge yourself to recognize the city's most famous sites. Karakol’s markets are places of community, friendship, and cultural exchange where you can find just about anything if you look hard enough. Let your culinary imagination wander at the Big Bazaar, where vendors sell nuts, dried fruit, spices, and even ten different kinds of roasted chili peppers. Visit the Sunday animal market during the early hours to watch vendors offload their horses, sheep, and cattle in a delightful cacophony of livestock noises and lively bargaining. If traditional Kyrgyz handicrafts or Soviet memorabilia are your idea of a perfect souvenir, you’re in luck: Karakol has an excellent selection of high quality goods, too. Perhaps you were drawn to Karakol by the dream of trekking in the mountains. Well, you're in luck — the city now offers more treks and trails than ever before. Newly marked routes through the Tian Shan Mountains, from one-day jaunts to seven-day journeys, give you the chance to experience gorges, valleys, ridges, and peaks that were previously only accessible to knowledgeable locals. Karakol may be best known for trekking, but there are plenty of other ways to experience the stunning natural landscapes on Karakol's doorstep. You’ll gain a newfound appreciation for the rugged mountain trails when you navigate them on horseback or on two wheels in a mountain-biking tour. And a day of exhilarating parasailing will take your understanding of the Kyrgyz mountain ranges to new heights — literally! Winters in Karakol are beautiful. The city and surrounding areas offer travelers a unique opportunity to experience some of the best winter sports and adventure activities in Central Asia. Whether you rent a snowboard and head to the ski slopes or visit for the notable free-ride skiing opportunities, you won't leave disappointed. The ski resorts offer many activities for your family, too — from snowshoeing to sledding. Once you're done, head back to town and warm up with a sauna and a hot cup of tea.